Flowchart of study stages. BA indicates Brodmann area; EVA, extreme values analysis; MAS5, Microarray Suite, version 5; QPCR, quantitative polymerase chain reaction; RMA, robust multichip average; and TrkB, tropomyosin-related kinase B. The HG-U133 plus 2 chip is available from Affymetrix (High Wycombe, England). Reduced expression of a truncated form of tropomyosin-related kinase B (TrkB.T1) in Brodmann areas 8 and 9 (BA 8/9) of suicide completers. A, Results of HG-U133 plus 2 microarray (Affymetrix, High Wycombe, England) from the extreme values analysis (EVA). Each probe set is represented by normal control subjects (control group; n = 9) and the subgroup of suicide completers who passed EVA filtering (ST1; n = 10). The full-length TrkB (TrkB.FL) probe set order is 207152_at and 229463_at. The TrkB.T1 probe set order as listed on the graph is 214680_at, 221795_at, and 221796_at. B, Semiquantitative polymerase chain reaction (SPCR) analysis of the 10 suicide completers who passed EVA filtering (TrkB.T1 low expressors [ST1 group]) and 10 matched controls (control group). C, Western blot analysis of the 10 suicide completers who passed EVA filtering (TrkB.T1 low expressors [ST1 group]) and 10 matched controls. D, Example of SPCR and Western blot gels used to generate data. C indicates control; ST1, suicide completer with low TrkB.T1 expression. *P < .05. Reduced expression of a truncated form of tropomyosin-related kinase B (TrkB.T1) in 8 frontal cortical regions but not in the cerebellum. A, Global expression of TrkB.T1 across the frontal cortex and cerebellum (probe set 221795_at). Numbers for the suicide completers with low TrkB.T1 expression (ST1) and control subjects across all the regions were as follows: ST1 = 9 and control = 11 for the cerebellum; ST1 = 7 and control = 8 for Brodmann area (BA) 4; ST1 = 5 and control = 7 for BA 6; ST1 = 10 and control = 9 for BA 8/9; ST1 = 4 and control = 6 for BA 10; ST1 = 6 and control = 7 for BA 11; ST1 = 9 and control = 11 for BA 44; ST1 = 8 and control = 11 for BA 45; ST1 = 6 and control = 7 for BA 46; and ST1 = 8 and control = 9 for BA47. B-D, The TrkB.T1 probe set order as listed on the graph is 214680_at, 221795_at, and 221796_at. *P < .05. B, All TrkB probe sets from BA 11 from all suicide completers with low TrkB.T1 expression (ST1 group) and matched controls who passed microarray quality control. Probe set 229643_at failed quality control in BA 11 (not shown). C, Signal intensity of all TrkB probe sets in BA 44. D, Signal intensity of all TrkB probe sets in BA 45. TrkB.FL indicates full-length TrkB. In C and D, the TrkB.T2 probe set is 236095_at and the TrkB.FL probe set is 229463_at. Structure of the tropomyosin-related kinase B (TRKB) gene and promoter region. A, Exon/intron view of the TRKB gene. Vertical lines represent exons; horizontal lines, intronic regions. The break in the intronic region is a 250-kilobase (kb) space. Down arrows represent exons whose presence in a transcript defines major TrkB isoforms (all have stop codons). Exon 16 (first arrow from left), exon 19 (second arrow), and exon 24 (third arrow) are specific to truncated forms of TrkB (TrkB.T1 and TrkB.T2) and full-length TrkB (TrkB.FL), respectively. B, A portion of the TrkB promoter. Superscript numbers represent CpG nucleotides referenced in the “Assessment of Methylation State of the TrkB Promoter in BA 8/9 and the Cerebellum” subsection of the “Results” section. Underlined segments are the primer-binding sites for primers specific for bisulfite-treated DNA from Brodmann areas 8 and 9. Parenthetical subscript numbers indicate the nucleotide position number. Methylation mapping of the tropomyosin-related kinase B (TrkB) promoter region. A and B, Examples of sequencing results from bisulphite- treated DNA at sites 2 (A) and 5 (B). C, Representative data from 1 suicide completer with low expression of a truncated form of TrkB (TrkB.T1) (ST1). Each circle represents a CpG position in DNA. Solid circles represent CpG sites that are methylated. Selected CpG sites are numbered, and each line represents 1 clone. Clones from the frontal cortex (Brodmann areas 8 and 9) are shown. D, Representative methylation results from 1 control subject. Correlation analysis of a truncated form of tropomyosin-related kinase B (TrkB.T1) expression and methylation frequency at CpG sites 2 (A) and 5 (B) of the TrkB.T1 promoter. Analysis of methylation state of CpG sites 2 and 5 in DNA extracted from the cerebellum. Ten subjects each are represented in the suicide group (consisting of suicide completers with low tropomyosin-related kinase B [TrkB.T1] expression [ST1]) and the control group, and each subject contributes 10 clones (rows). Data for each subject consist of 2 columns that represent the methylation state of sites 2 and 5 from the TrkB promoter. Solid circles represent methylation; open circles, lack of methylation. Context Although most of the effort to understand the neurobiology of depressive states and suicide has focused on neuronal processes, recent studies suggest that astroglial dysfunction may play an important role. A truncated variant of the tropomyosin-related kinase B (TrkB.T1) is expressed in astrocytes, and brain-derived neurotrophic factor–TrkB signaling has been linked to mood disorders. Objective To test the hypothesis that TrkB.T1 expression is downregulated in suicide completers and that this downregulation is mediated by an epigenetic process. Patients, Setting, and Main Outcome Measures Thirty-nine French Canadian men underwent screening at the Douglas Hospital Research Institute using the HG-U133 plus 2 microarray chip. Nine frontal cortical regions and the cerebellum were assessed using a microarray screening approach for extreme expression differences across subjects and a conventional screening approach. Results were validated by quantitative polymerase chain reaction and Western blot analyses. Animal experiments were performed to control for drug and alcohol effects. Genetic and epigenetic studies were performed by means of direct sequencing and bisulfite mapping. Results We found that 10 of 28 suicide completers (36%) demonstrated significant decreases in different probe sets specific to TrkB.T1 in Brodmann areas 8 and 9. These findings were generalizable to other frontal regions but not to the cerebellum. The decrease in TrkB expression was specific to the T1 splice variant. Our results were not accounted for by substance comorbidity or by reduction in astrocyte number. We found no effect of genetic variation in a 2500–base pair promoter region or at relevant splice junctions; however, we detected an effect of methylation state at particular CpG dinucleotides on TrkB.T1 expression. Conclusion A reduction of TrkB.T1 expression in the frontal cortex of a subpopulation of suicide completers is associated with the methylation state of the promoter region. A truncated splice variant of the tropomyosin-related kinase B (TrkB.T1) is the only TrkB isoform expressed in astrocytes under normal conditions, and brain-derived neurotrophic factor (BDNF)–TrkB signaling has been linked to major depression and suicide.17-20 The TrkB.T1 variant is incapable of catalytic activity21,22 and is known to mediate BDNF-induced calcium signaling through astrocyte networks.18 It is upregulated in cultured astrocytes in response to antidepressant treatment,23 and a number of microarray studies have linked decreased TRKB gene (GenBank AF410902) (also known as the NTRK2 gene) expression in human cortex to mood disorders,24,25 although the specific TrkB variant identified in these studies was not presented. In this study, we screened microarray data for extreme expression values and found severely decreased expression of TrkB.T1 in 10 of 28 suicide cases (36%). When we analyzed microarray data following more conventional methods, we still found TrkB.T1 to be significantly downregulated in the suicide group. These findings were present in the frontal cortex and were specific to the T1 variant because we could detect no difference in expression level in the cerebellum or in other TrkB isoforms. We attempted to explain the mechanism of this finding by analyzing the TrkB promoter region first for genetic variation and, second, for methylation patterns. We found a significant association between methylation at 2 specific CpG dinucleotides in the promoter region and decreased TrkB.T1 expression in the frontal cortex of suicide completers. Brain tissue used in this study was obtained from the Quebec Suicide Brain Bank and selected for limited postmortem intervals (PMIs) (not exceeding 48 hours26,27). Subjects were French Canadian in origin and were considered members of a homogeneous population with a well-identified founder effect.28 All individuals were male, and the groups were matched for age, PMI, and pH. All subjects died suddenly and could not have undergone any resuscitation procedures or other type of medical intervention, and thus did not have prolonged agonal states. Twenty-eight suicide completers and 11 control subjects were recruited for this study. Brodmann areas (BAs) 4, 6, 10, 11, 44, 45, 46, and 47; the region encompassing BA 8 and 9 (BA 8/9) from the left hemisphere (gray matter only); and the cerebellum were carefully dissected. Sectioning was performed at 4°C, and sections were snap frozen in isopentene at −80°C. Different numbers of sections were taken per BA, and therefore the sections used for microarray analysis were adjacent to but different from those used for biological replication by semiquantitative polymerase chain reaction (PCR), Western blot, and epigenetic analysis. For identification and dissection of neuroanatomical regions, we relied on experienced histopathologists using reference neuroanatomical maps.29,30 Briefly, we used gyri and sulci to landmark specific frontal cortical areas and removed gray matter tissue blocks. In all cases, 1-cm3 human tissue blocks were paraffin embedded, cryostat sectioned, slide mounted, and examined for any signs of disease by 2 independent pathologists in at least 3 different brain regions. All sections were cryostat cut at 15 μm. Brain tissue was assessed for any obvious signs of abnormality. We used strict inclusion criteria to ensure a sample as homogeneous as possible. The following constituted our inclusion criteria for suicide completers: (1) The subject must be white and of French Canadian origin. This was assessed systematically by verifying that both sets of grandparents of the subject were born in the province of Quebec. (2) The subject must be male. (3) The PMI must be less than 48 hours.26,27 The exclusion criterion for suicide completers was the presence of schizophrenia or other psychotic disorders at any point in the life of the subject. Inclusion criteria for controls were the same as those for suicide completers, with a further inclusion criterion of sudden death without a prolonged agonal state. Medical records, family reports, and interviews with the best possible informant were screened to ensure that the individual had not experienced a prolonged agonal state. Most controls died in motor vehicle crashes or owing to cardiac arrest. Case reports for each person were prepared by way of psychological autopsy performed by trained clinicians and physicians with the best possible informants, as reported elsewhere.31 Psychological autopsies were completed with medical records, and a consensus diagnosis was reached by a panel of clinicians (including G.T.). Relevant clinical information for all subjects is listed in Table 1. We propose a different approach to screen microarray data that accounts for the likely heterogeneous nature of psychiatric diseases.32 This method, termed extreme values analysis (EVA), screens microarray data individual by individual in search of any extreme values that may signify some possible abnormality. Given the lack of replication in psychiatric genetic research,33 it seems plausible that an investigative approach focusing on subgroup rather than on mean group effects is reasonable. In psychiatric research, an approach that subdivides the experimental sample has been applied,34 and several promising findings in schizophrenia,35 autism,36 and mental retardation37 have all been identified through genome-wide screening on a subject-by-subject basis. The rationale for this approach is the fact that etiological heterogeneity is likely to occur in psychiatric conditions, including suicide.38 Identification of extreme values or outlier detection has been used successfully with microarray data, and EVA represents a slight modification of previously applied methods.39-41 Specifically, EVA uses the standard deviation and fold change from the mean, whereas the other methods use percentile rankings. Briefly, all methods normalize microarray data and examine individual subject scores outside a particular range, compared across experimental and control groups. The EVA protocol is fully described in supplemental material on the authors' Web site (http://www.douglasrecherche.qc.ca/suicide/). Methods for microarray analysis, quantitative PCR, Western blot analysis, DNA sequencing and methylation mapping of the TrkB promoter, and luciferase experiments for promoter function can all be found in the supplemental material on the authors' Web site (all primers can be found in Table S1). Full protocols for animal behavior experiments to control for the effects of alcohol and other drugs can also be found in the supplemental material. We used commercially available software to perform microarray analyses (Avadis; Strand Life Sciences, Carlsbad, California) and all other statistical comparisons (SPSS Inc, version 15.0; SPSS, Chicago, Illinois). Unless otherwise indicated, all data are reported as mean (SEM). Figure 1 shows a flowchart outlining the experimental design of this study. We initially focused on the dorsolateral prefrontal cortex, BA 8/9, because this brain region is thought to play an important role in the neurobiological mechanism of suicide.42-44 The data were log2 transformed, the standard deviation for each probe set was ranked according to the standard deviation value, and the top 1000 probe sets were kept. After this first step, we screened all remaining probe sets to find at least 1 suicide completer with a 3-fold deviation from the control mean. Two hundred eighty-seven probe sets had at least 1 suicide completer with an intensity value that was 3-fold different from the control mean. To account for variation in the control means, we removed any probe sets in which the intensity value from the suicide completer that was 3-fold from the control mean was not more than 1.5 SDs from the control mean; 99 probe sets had at least 1 suicide completer with such an extreme expression value (supplemental Table S2). Two of these 99 probe sets were specific to the TRKB gene (T1 variant: 221796_at and 221795_at; Figure 2A). We chose to further explore TrkB because (1) there were 2 different TrkB probe sets that were included in the final filtered list, suggestive of internal replication; (2) there were a large number of subjects with extreme expression values for both TrkB probe sets, all of whom had the same value for both TrkB probe sets; and (3) TrkB previously has been related to suicidal behavior.42 The results observed for TrkB using the EVA method were also significant when standard microarray analysis methods were used (supplemental Figure S1). An analysis of BDNF expression level between groups did not reveal any statistically significant findings (supplemental Table S3). We again performed our microarray analysis with the subjects who had previously undergone analysis using the HG-U133 A and B chip set to further assess the reliability of our findings (see the supplemental material). This analysis supported our initial findings. Given that 3 different probe sets are designed to interrogate TrkB.T1, we asked how well the 3 probe sets correlated with each other across all subjects. The following Pearson correlation values between the TrkB.T1 probe sets were excellent, suggesting a high degree of consistency, which is expected for probe sets measuring the same gene transcript: for 221796_at and 221795_at, r = 0.90 (P < .001); for 221795_at and 214680_at, r = 0.91 (P < .001); and for 214680_at and 221796_at, r = 0.87 (P < .001). The 214680_at probe set was narrowly filtered out at an early stage of the EVA. The 10 suicide completers who were identified in the EVA screen as being low expressors of TrkB.T1 were matched to 10 controls for age, PMI, and pH (Table 2). We performed semiquantitative PCR (Figure 2B) and Western blot (Figure 2C) analysis to validate and further investigate at the protein level the results from the microarray analysis. To confirm the validity of the TrkB.T1 microarray results, we designed primers to probe set binding sites specific to exon 16 of TrkB for semiquantitative PCR analysis. We used messenger RNA (mRNA) extracted from independent BA 8/9 brain samples, which were from tissue adjacent to the initial section used for the microarray experiment. There was a significant difference in the levels of mRNA between the low expressors of TrkB.T1 and the matched controls (Figure 2B; t18 = 3.47 [P = .003]). To ensure the reliability of this finding, we redesigned primers that bound to exons 15 and 16, guaranteeing noncontamination of genomic DNA (t18 = 4.88 [P = .001]). We then used Western blot analysis to investigate whether expression of the TrkB.T1 protein was similarly reduced and found a significant reduction in the protein levels of TrkB.T1 (Figure 2C; t18 = 4.98 [P = .001]). There was excellent predictive value among the quantitative PCR, Western blot, and microarray experiments (quantitative PCR – Western blot [n = 20], r = 0.79; quantitative PCR – microarray [n = 19], r = 0.64; Western blot – microarray [n = 19], r = 0.44). We screened 8 other frontal cortical regions to determine (1) whether the low expressors of TrkB.T1 from the BA 8/9 analysis also show reduced expression in neighboring regions with regard to the TrkB.T1 probe sets, and (2) whether low expression of TrkB.T1 was specific to the frontal cortex. For this second analysis, we performed microarray analysis using RNA extracted from the cerebellum. There were 10 suicide completers with low expression of TrkB.T1. To understand whether these subjects with low TrkB.T1 expression from BA 8/9 also had low expression of TrkB.T1 in other brain regions, we compared all of these subjects with controls across 8 frontal cortical regions and the cerebellum (Figure 3A). There was some variability in the number of subjects across regions because of sample and microarray quality-control parameters. Numbers of subjects per group in each region are indicated in the legend to Figure 3. We observed a highly significant difference in the expression level of TrkB.T1 across all frontal cortical regions in these subjects but not in the cerebellum. The findings of all TrkB.T1 probe sets were significant across regions in the frontal cortex and not the cerebellum, whereas TrkB.FL and TrkB.T2 expression were not significant in any region (Figure 3). To validate the microarray results in frontal areas other than BA 8/9, we extracted new tissue from 3 frontal cortical regions (BAs 11, 44, and 45) for each suicide completer who had low expression of TrkB.T1 and the matched controls (n = 20 subjects) and conducted semiquantitative PCR experiments. This tissue was independent from the tissue used in the microarray experiments. The P values from the unpaired, 2-tailed t tests between suicide completers and controls in each region were less than .01. In all frontal regions, suicide completers with low expression of TrkB.T1 showed reduced expression of TrkB.T1 mRNA compared with controls. Effects of pH, PMI, and age for all subjects across all experiments are given in Table 2. To further understand the role of these variables on TrkB.T1 expression, we performed correlation analyses using semiquantitative PCR TrkB.T1 data from the suicide completers with low TrkB.T1 expression (n = 10) and the matched controls (n = 10) from BA 8/9. We questioned whether PMI, pH, or age predicts levels of TrkB.T1, irrespective of group membership. We found no significant correlations between any of these variables and the level of TrkB.T1 expression (pH, r = −0.23 [P = .33]; PMI, r = −0.07 [P = .78]; and age, r = 0.23 [P = .32]). There was also no significant correlation between PMI and protein level (r = −0.18 [P = .45]). All analyses in this study were recomputed using age, pH, and PMI as covariates (supplemental Table S4). Very few subjects had positive toxicological findings for psychotropics (Table 1). Although certain psychotropic medications are known to alter the expression of BDNF in the brain of laboratory animals,46,47 their effect on levels of TrkB is less clear.48 There were 3 suicide completers in this study who had positive toxicological evidence of psychotropic medications, none of whom had low expression of TrkB.T1. We next assessed the effects of lifetime history of alcohol abuse or dependence and history of cocaine use on the expression level of TrkB.T1 in BA 8/9. Three controls and 4 suicide completers with low TrkB.T1 expression had a history of alcohol abuse/dependence, and 2 suicide completers with low TrkB.T1 expression had cocaine found in the toxicological screen (Table 1). We grouped semiquantitative PCR data from the 10 subjects with a history of alcohol abuse or dependence and compared them with the data of all other subjects (no history of alcohol abuse or dependence). A history of alcohol abuse or dependence did not significantly affect the expression level of TrkB.T1 (t18 = 0.68 [P = .50]). A history of cocaine abuse also did not affect levels of TrkB.T1 (t18 = 0.83 [P = .42]). To experimentally rule out the possibility that our results are a consequence of comorbidity with alcohol or cocaine use, we modeled cocaine and long- and short-term alcohol abuse in rats to further clarify their role on TrkB.T1 expression (see the supplemental material). The TrkB.T1 variant is expressed in astrocytes in the adult brain.18,49 To determine whether the effect we observed was a result of a reduction in the number of astrocytes,50,51 we used microarray data and quantitative PCR to analyze the mean of glial fibrillary acid protein (GFAP; probe set 203540_at) between groups. Glial fibrillary acid protein is the most commonly used molecular marker of astrocytes in the brain; we could not detect a difference in the expression level of GFAP between the controls and the suicide completers with low levels of TrkB.T1 expression. For all 3 probe sets specific to TrkB.T1, the TrkB.T1:GFAP ratio was always at least 2-fold lower in the low-TrkB.T1 suicide subgroup compared with the control group. Finally, we performed quantitative PCR experiments to confirm that there was no significant difference in the levels of GFAP between groups (t18 = 1.10 [P = .27]). We next asked whether any genetic variation in particular regions of this gene was associated with a reduction in expression of TrkB.T1. Obvious sites of genetic variation that could affect expression level were the promoter region and the splice junctions surrounding exon 16 (Figure 4A).45,52 We defined the promoter region similar to that proposed in the mouse.53 We then confirmed that this region has promoter activity in humans (supplemental material). We found no association between any promoter variants and TrkB.T1 expression level (supplemental material). We next asked whether epigenetic differences might account for the expression differences observed in the TRKB gene. We reasoned that this could be a possible mechanism, despite there being 2 other unchanged transcripts potentially from the same promoter region, given that TrkB.T1 is the only TrkB isoform expressed in astrocytes under normal conditions. To control for assay variability and other stochastic effects leading to erroneous conclusions, we randomized important variables in every experimental step (sodium bisulfite treatment, cloning, and sequencing were performed blind to group status and in pairs). We cloned a 440–base pair sequence from the 10 suicide completers with low TrkB.T1 expression and 10 matched controls used throughout this study in BA 8/9 (all raw data are shown in supplemental Figure S4 and Figure S5). We found a significant difference (t18 = 2.60 [P = .02]) in mean methylation level per clone when we compared suicide completers (1.72 [0.1] methylated sites per clone) and controls (1.17 [0.18] methylated sites per clone). Most methylation was reserved to 2 CpG dinucleotides, sites 2 and 5 (Figure 4 and Figure 5 and supplemental Figures S4 and S5). We therefore generated methylation frequencies for each subject at sites 2 and 5 (eg, the number of methylated cytosines at site 2 per the total number of clones). At site 2, a t test analysis revealed a marginally nonsignificant P value of .07 (t18 = 1.90). At site 5, the t test P value was .03 (t18 = 2.40). To determine whether there was an association between methylation and expression level, we log2 transformed microarray data and performed correlations between expression level of TrkB.T1 (221795_at) and methylation frequency across all subjects (Figure 6). The Pearson correlation was significant for sites 2 (r = −0.56 [P = .01]) and 5 (r = −0.62 [P = .004]). We also investigated the Pearson value when only suicide completers or controls were examined (supplemental Figure S6). To demonstrate the specificity of this finding, we also used DNA extracted from the cerebellum to analyze methylation patterns in CpG sites 2 and 5 from the TrkB promoter (Figure 7). We found a paucity of methylation in DNA extracted from the cerebellum from all subjects. Six of 10 suicide completers with low expression of TrkB.T1 had major depressive disorder (MDD), which suggests that the relationship observed between TrkB.T1 expression level and methylation state is due to the presence of MDD. To fully rule out this possibility, we selected 5 subjects with MDD from the suicide completers group who did not previously undergo epigenetic analysis. We isolated DNA from BA 8/9 of the frontal cortex of these subjects, treated the DNA with bisulfite, and cloned the PCR product (10 clones per subject). Of these 5 subjects, one had 2 clones methylated at CpG site 5 and another had 1 clone methylated at site 5. Therefore, there was very little methylation at sites 2 and 5 from these suicide completers with MDD and high expression of TrkB.T1. This study has demonstrated in a subset of suicide completers that TrkB.T1 is significantly downregulated in the frontal cortex compared with controls and that this downregulation is associated with methylation at specific CpG dinucleotides proximal to the coding region. We found that TrkB.T1 expression was associated with more methylation at 2 particular sites in the TrkB promoter. 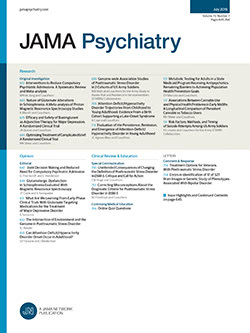 Although we made every effort to control for confounders such as PMI, pH, age, toxicological findings, and presence of MDD, we cannot fully rule out the potential effect of other factors such as antidepressant therapy that was stopped in the past and not detected in the toxicological examination, other stress factors, or unknown environmental factors. We observed an association between methylation state and decreased expression of TrkB.T1, but 2 other variants that may be transcribed from the same promoter region were unaffected. First, it could be that the promoter region examined in this study is specific to the T1 variant of TrkB. One study of the TrkB promoter region in the mouse identified 2 different promoters, although both seemed to promote transcription equally for all transcripts.52 Second, it could be that this methylation pattern occurs only in astrocytes, where only TrkB.T1 is expressed.17,61 This would suggest that the cellular machinery targeting methylation to this region is astrocyte specific. Methylation events that occur in a cell type–specific way are known in assorted tissue types.64,65 Because astrocytes express TrkB.T1 exclusively, the methylation of this promoter region would affect only this isoform of TrkB. Third, it could be that the methylation pattern is present in most cells of the affected brain, but that the regulation of the promoter region in astrocytes is different from that of neurons or other cells in the brain. Suicide is a heterogeneous phenomenon that is almost always associated with psychopathological disorders, particularly mood and substance disorders and schizophrenia.69 Many of these factors are comorbid.70 Studies investigating the neurobiological mechanisms of suicide suggest that individuals who commit suicide have a certain individual predisposition that is independent from that associated with psychopathological abnormality.71,72 The heterogeneity associated with suicide leads to difficulties in experimental design, particularly if group mean effects are assessed. We have proposed an analysis method that attempts to study the complicated phenotype more on an individual basis, in which individual data points are assessed. Dwivedi et al42 showed in a similar study that the TrkB.FL isoform is decreased in BA 9 of suicide completers. There are a number of possible reasons for the discrepant findings between the present study and that by Dwivedi et al. Using semiquantitative PCR analysis for TrkB and BDNF, Dwivedi et al reported a strong downregulation in TrkB and BDNF in suicide completers and identified corresponding changes at the protein level, although it is unclear which truncated form of TrkB their antibody detected.73 The forward primer used by Dwivedi et al for TrkB semiquantitative PCR analysis, according to the published structure of the TRKB gene,45 is specific to exon 10 of TrkB, and their reverse primer is specific to exon 12. Both of these exons are present in all TrkB isoforms. The TrkB.T1 variant has no cytoplasmic catalytic activity, and it may therefore act by sequestering BDNF, thus competing for this ligand with neuronal TrkB.FL and decreasing TrkB second messenger activation. However, recent data suggest that TrkB.T1 plays a role beyond passive competition with the TrkB.FL receptor. This truncated form of the TrkB receptor has been convincingly shown to mediate neurotrophin-evoked calcium signaling in astrocytes.18 Although glutamate and adenosine triphosphate are known to induce calcium transients in astrocytes,74 BDNF is the most potent endogenous agonist for this process, required only at nanomolar concentrations.18 Thus, it is feasible that reduction in TrkB.T1 in the frontal cortex may affect calcium signaling in astrocytes. Correspondence: Gustavo Turecki, MD, PhD, Department of Psychiatry, Douglas Hospital Research Institute, Pavilion Frank B Common, Room F-3125, 6875 LaSalle Blvd, Verdun, Montreal, QC H4H 1R3, Canada (gustavo.turecki@mcgill.ca). Submitted for Publication: December 6, 2007; final revision received April 21, 2008; accepted May 9, 2008. Additional Information: The supplemental materials, tables, and figure are available at http://www.douglasrecherche.qc.ca/suicide/. This article is dedicated to the memory of Alaa El-Husseini. Mr C. Ernst is a Canada Graduate Scholar. Additional Contributions: We thank the Bureau du Coroner du Québec, Montreal, as well as liaison workers between the McGill Group for Suicide Studies and the Bureau. We also thank the families and interviewers who provided and collected information and Lilian Canetti (Quebec Suicide Brain Bank), who provided excellent technical assistance.